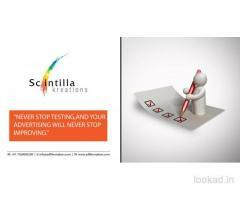 Welcome to one of the best Advertising in Hyderabad, Bangalore, Chennai, Vizag and Vijayawada - Scintilla Kreations. 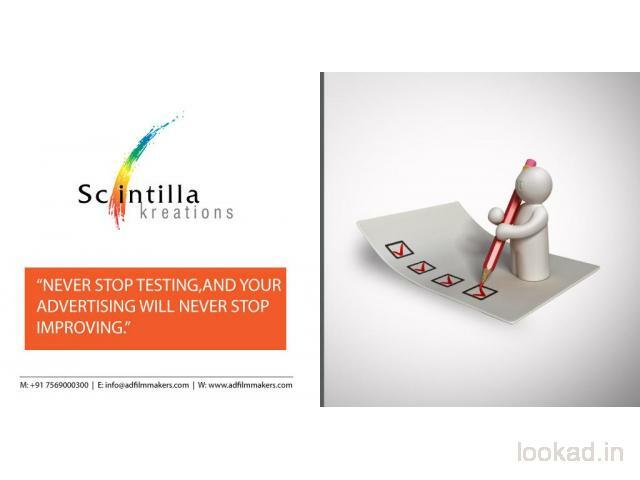 Scintilla Kreations is focused on enhancing the potential of television commercials, documentary film making,corporate films, corporate presentations,brochure designing, brand promotion activity, logo designing, social media campaign and so on. 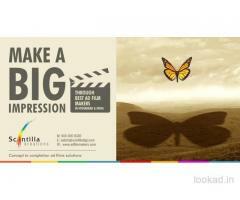 As one of the top advertising agencies in Telangana, Scintilla Kreations believes that ad film making companies have a big role to play in business success. Ad films make a big impression on the minds of the target audience. When they are defined by highly creative concepts and enlivened by memorable elements such as sharp visuals, right angles, subtle performances and memorable music, the ad commercials and TVCs not merely add to the depth of your products and brands presence in the markets but also enable them to rise above others. 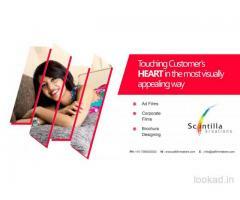 As Scintilla Kreations is at the forefront of print and tv campaign, it is naturally among the finest ad film makers in India.